Planets, stars, and physical “stuff” make up a tiny fraction of the universe. Most of the universe’s mass is instead invisible dark matter, which makes itself known not by luminance, but by its gravitational influence on the cosmos. The motions of galaxies and stars require dark matter to be explained. Yet despite decades of searching and millions of dollars spent, physicists still haven’t been able to track down a dark matter particle. In this segment, physicists Jodi Cooley and Flip Tanedo, and Gizmodo science writer Ryan Mandelbaum talk about how experimentalists and theorists are getting creative in the hunt for dark matter—and why a few physicists say it’s time to abandon the chase and rewrite the rules of gravity, to eliminate the need for dark matter. Flip Tanedo is a professor of Physics at University of California, Riverside in Riverside, California. Jodi Cooley is an associate professor of physics at Southern Methodist University in Dallas, Texas. IRA FLATOW: This is Science Friday. I’m Ira Flatow. It’s invisible to our telescope, but makes up more of the cosmos than the stuff we can see, like planets and stars. In fact, we’re coasting through clouds of it right now. Can’t see it, though. I’m talking about, of course, dark matter. That’s the theory, at least, because no one has been able to find out what the matter is made of. Astronomers have a very strong hunch it is there, due to the motions of galaxies and stars. But particle physicists still haven’t been able to directly detect any of it, a fact that’s got a few physicists wondering if so-called dark matter is actually just a discrepancy in our theory of gravity. Time to rewrite the rules perhaps, some of them say. Science writer Ryan Mandelbaum is energized by all of this, writing about the quandary in Gizmodo. And he’s here to guide us through this tangled web of mysterious dark matter. Welcome back, Ryan. RYAN MANDELBAUM: Hey, Ira. How’s everything going? IRA FLATOW: Hey, I know this is one of your favorite subjects. RYAN MANDELBAUM: I love dark matter. IRA FLATOW: All right, give us– let’s go through the layout the land for us. What’s going on with the search for dark matter– what it is, and why we haven’t been able to find it? RYAN MANDELBAUM: Sure, so I think that the biggest summary is just, no matter where we look in the universe, things act bigger than they look. Galaxies seem to rotate a little too quickly– well, way too quickly around their edges. The entire large-scale structure of the universe looks like there should be around five times more mass than there really is. And so we’ve got all of these astronomical observations that tell us that and a lot of these little hints that tell us that it should be there, and then searches on both at the Large Hadron Collider and this new experiment, or these new results from this experiment called Xenon, which have not found it yet. And so it’s interesting times. And there are folks who– there are people who are concerned, and they’re coming up with new ideas. IRA FLATOW: People have predicted there should be things called WIMPs, and things, right? They’ve given names to particles they think might make up the dark matter. RYAN MANDELBAUM: Yeah, so probably around 10, 15 years ago, physicists might have told you that dark matter and WIMPs were synonymous. IRA FLATOW: What’s a WIMP? RYAN MANDELBAUM: A WIMP is a Weakly Interacting Massive Particle. The best way I could sort of explain it is it’s like a ghost. IRA FLATOW: A wimpy ghost. RYAN MANDELBAUM: Right. It’s got mass, but it just passes through matter without interacting with it very strongly. So if you were to detect, it would be a really slight nudge. And there are a couple of ways. You can either make it in a collider, or maybe you could just detect it with a really sensitive experiment here on Earth. But we haven’t found them yet. RYAN MANDELBAUM: And I mean, they were really well motivated. I mean, there was good reason for people to think that WIMPs were that dark matter. It’s called the WIMP Miracle. But the most obvious answer to what the WIMP would be seems to not be the answer right now. So maybe the WIMPs are weirder than we thought. IRA FLATOW: I like that alliteration. That’s good. And you talked to some theorists who say it might be time to give up the hunt and throw out the rules of gravity, start over again? RYAN MANDELBAUM: So there are a couple of ideas that folks have come up with that they posit that maybe dark matter just requires a rewriting of the rules of Einstein’s theory of general relativity, so those rules of gravity. I will say that these theories are early on in their development and don’t explain everything. And I think there are a lot of folks who might even be mad at me for bringing them up. But these people have a seat at the table, and people are wondering. People are asking them about their theories, and they’ve got ideas. IRA FLATOW: Well, that’s because, like with string theory, after a while, if you can’t find the evidence– science is all about the evidence, and as you say, they haven’t found the evidence of these particles– then sometimes you have to give up on it, right? RYAN MANDELBAUM: Sure, so I mean, there are plenty of other theories as to maybe if it’s not a WIMP– I’ve seen SIMPs, which would be Strongly Interacting Massive Particles. Axions– I’ve spoke to you about in the past, which would solve another problem in particle physics. IRA FLATOW: Named after a laundry detergent. RYAN MANDELBAUM: It is named after a laundry detergent. And the axions are one of my favorite. I think they’re really punk rock. But we can get into that later. So there’s all sorts of ideas with various motivations. And then again, there are folks who say, well, let’s just come up with a new theory. IRA FLATOW: Well, we have a couple of those folks who are talking about different ideas and how we need to look at. I want to bring you these voices now. Flip Tanedo is a theoretical physicist and professor of physics at the University of California, Riverside. Welcome. FLIP TANEDO: Hi, pleasure to be here. IRA FLATOW: Nice to have you. Jodi Cooley is an associate professor of experimental particle physics at Southern Methodist U. And that’s, of course, in Dallas. And she joins us today from a big dark matter conference in Santa Barbara. Welcome to Science Friday. IRA FLATOW: Hi, Jodi. Nice to have you. Let me begin with you, Jodi. Now let’s talk about that big meeting of the minds in California. Have you all figured out where it’s hiding yet? JODI COOLEY: Well, of course not. If we knew where it was hiding– yeah, if we knew where it was hiding, somebody would probably be going to Stockholm. IRA FLATOW: Yeah, to pick up that medal. JODI COOLEY: To pick up that Nobel Prize. That’s true. Yeah, so actually there been two different programs that have been going on here at the Kavli Institute for Theoretical Physics, here in Santa Barbara. One was called [? HEP ?] [? Front. ?] And these were some particle physicists who got together and, for two or three months, were coming up with some different ideas about how perhaps– and this is not throwing out the idea of WIMPs possibly being the dark matter. There’s still a lot of possibilities for WIMPs being dark matter. But it’s opening up our minds a bit more and saying, you know, what if WIMPs aren’t the dark matter? Are there other options that we should be looking at? Are there other types of particles we should be exploring, and are there other experiments we should be doing? And so they spent some time thinking about these ideas and talking about these ideas. And there’s a program that’s going on now. [? It’s concluding ?] in a couple of weeks. That was going on for two months in parallel with this program about cold dark matter. And this is more primarily thinking about from the astrophysics perspective. IRA FLATOW: But they don’t tell you what it’s made out, do they? JODI COOLEY: They don’t tell us what it’s made of, but they can help us complete the picture. And I think that’s important. IRA FLATOW: OK. Let me bring Flip in. You’re on the theater. Thea– I’m going to say theater. Same thing– the theoretical side of things. Has the concept of what dark matter– has it changed over time? FLIP TANEDO: It has definitely been evolving quite a bit over the past 10 years. And I’ll go out on a bit of a limb here, and I’ll say that the simplest garden variety WIMP theories are basically dead. And it was Jodi and her collaboration and other collaborations like hers that actually killed it over the past 10 years with their fantastic experiments. And while a lot of people see that as being something where, oh, we’re not sending somebody to Stockholm this year, does that mean that we should feel bad about ourselves? This has actually been a really quiet revolution on the theoretical side, where it’s led to many exciting new ideas about how we are forced to think about what dark matter could be. RYAN MANDELBAUM: So before we– I want to know how dead the WIMP is. You know, I know a lot about the neutrino floor. And there’s all sorts of experiments that are continuing to look for it. So I mean, when will it be that we actually say the WIMP is dead? FLIP TANEDO: Oh great, that is an excellent point. So I am definitely opening myself up to attack here. WIMPs can come with various bells and whistles. You can dress the theory with other features to make it a little– bit a little bit better with the data. But I think the type of thing– so Ryan, in your fantastic article, you mentioned a review article in 1996 that talked about, oh, dark matter is definitely this type of particle coming from supersymmetry. The things that people were talking about in the ’90s– if you grabbed any physicist from the ’90s and told them, put your bet on what are the properties of the WIMP, I would say 99% of the time, the numbers that they would give you are now excluded. IRA FLATOW: Yes, go ahead, Jodi. JODI COOLEY: Sorry. But I think one of the things that you have to keep in mind, Flip, is that, when we talk about the WIMP, it’s actually a classification of particles, right? It’s Weakly Interacting Massive Particles. And I think there are a lot of types of particles that fit into that classification, kind of like when you talk about people, right? People come in a lot of different shapes and sizes. WIMPs also come with a lot of different cross-sections and masses, right? There’s a lot of different properties that you can give a particle, and it can still be called a WIMP. And I think that’s what gives the WIMP a lot of flexibility and what makes it very difficult to completely rule out. IRA FLATOW: You’re not ready to [INAUDIBLE]. I’m just thinking of The Wizard of Oz and the WIMP being dead. IRA FLATOW: You’re fighting very hard for it, aren’t you? JODI COOLEY: I mean, I think it’s important. FLIP TANEDO: Yeah, Jodi, you’re absolutely right. You’re absolutely right. JODI COOLEY: I’m not fighting hard for it. I think we have, over the last decade– and we have ruled out a tremendous number of ideas about what a WIMP could be. But I think to say that it’s completely dead is not a fair statement. IRA FLATOW: All right. Let me move on from the WIMP to new thinking about physics. And Flip, do we need new ideas? You’re a young astronomer, or physicist, theoretical physicist. Do you bring new ideas to the table that your, perhaps, your forefathers, I might say, might have not been accepting of? FLIP TANEDO: Oh gosh, I hope my advisor isn’t listening. Yeah, so what’s really interesting– I think that me and probably a lot of my colleagues– we see ourselves as refugees from the Large Hadron Collider. So we’re a group of theoretical physicists who cut our teeth in our PhDs, building new theories for the Higgs boson, and all of the promises of the ’90s, the theories of the ’90s– supersymmetry, extra dimensions, all these weird ideas that we’d sold ourselves– drinking the Kool-Aid that, when the Large Hadron Collider turns on, we’re going to find all these new particles and explain everything about the Higgs. And then come 2013, when we’re all writing up our dissertations, the LHC discovers the Higgs, and it turns out to be the most boring possible thing from the point of view of new physics. And I think a lot of the theorists of my generation had a bit of an identity crisis, where we had to re-evaluate, what is the most pressing question in particle physics, and not only what is the most pressing question, but what is the most pressing question that we actually have a shot at answering experimentally in our lifetimes? And so I think we’ve all brought a kind of toolkit for how do we approach models of particle physics to this new arena of dark matter physics. IRA FLATOW: What about the rejiggering of our ideas about gravity? Let me ask Ryan about this, too. Do we really have to rethink our ideas about gravity, because it’s so key to understanding the universe if we don’t know what the dark matter is? RYAN MANDELBAUM: I think there’s a couple of people who will tell you that perhaps we need to rethink the ideas of gravity. And I think I would like to leave it up to Jodi to tell me what she thinks about that, as well, because she’s at KITP, so she could get you a bit of what the people there are thinking. But there are two theories that I talked about in my piece recently. One is Modified Newtonian Dynamics, or MOND. The other one is emergent gravity. These are ideas that maybe there are rejiggering of the laws of physics, that could perhaps explain things like why galaxies rotate too quickly around the edges– again, early on. IRA FLATOW: Well, OK, Jodi, what do you make of this? JODI COOLEY: I think the way that Ryan described is very fair. These are ideas. They’re not fully developed theories. Theories are hypotheses. They’ve been tested. Usually when we have a theory, it’s complete. Ideas are great. I think that right now, there’s a lot of evidence out there that sort of points to the idea that dark matter is a particle. And if I were a betting person, I would put my money on dark matter being a particle. However, we’ve been searching for dark matter as a particle for a very long time now, and we haven’t found it. And I think it behooves us to entertain the idea that perhaps, perhaps we might be wrong. And so we should leave a little room in our minds for the idea that there may be some other ideas and some other possibilities out there. But these ideas of modified gravity, emergent gravity– they’re not very well developed, in that they can explain some dynamics that we see in some of these systems, but they really don’t explain some of the strongest evidence that we have for particle dark matter. They don’t explain things like the cosmic microwave background, which really strongly tells us and gives us a lot of real strong evidence for dark matter. And when we take our whole– everything that we have from astrophysics and astronomy, and we put it together, just saying dark matter is a particle– that sort of solves it all. So I think that it’s good. IRA FLATOW: Yeah, OK, I’m Ira Flatow. This is Science Friday, from WNYC Studios– a lively discussion about dark matter with my guest Ryan Mandelbaum, Flip Tanedo, and Jodi Cooley. Our number– 844-724-8255– we are close to the break, but let’s see if we can get a phone call from a listener in here. Let’s go to Bill in– where is it, Placerville, California? Hi, Bill. SPEAKER 1: That’s it. How are you? IRA FLATOW: Fine. Go ahead. SPEAKER 1: Well, my question is, when you take a look at the universe and what we know about it, it changes all the time and expands. And we get to a point we think, well, we know everything now, or we know pretty much everything. And then we look back later, and we realize how little we really knew. And dark matter, just by the name of it, suggests that that’s sort of like what that’s going to be. IRA FLATOW: Good question. Let me get an answer. We thought the ether existed once, too, didn’t we Dr. Cooley? Are we going to know 50 years from now what it is? JODI COOLEY: Well, I sure hope so. I sure hope so. I’m sure hoping that, within the next five years, that we know. So right now, the United States actually has this portfolio of experiments that it’s funding to look for the dark matter. And these experiments– there’s three of them. One of them is called the LZ experiment. That stands for [? LUXenon. ?] 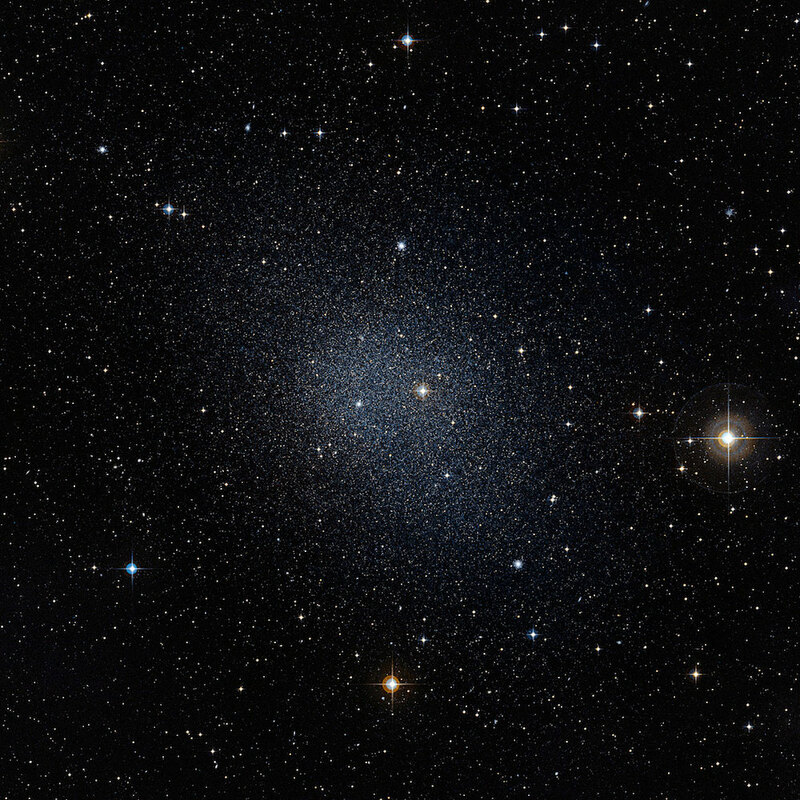 And this experiment is looking for– we call it high mass dark matter. And so this is dark matter that has– or it’s most sensitive to dark matter that has masses higher than 10 GeV. So that’s 10 times the mass of the proton. It’s also funding the experiment that I work on, which is Super CD Mass. These are most sensitive to dark matter that will have masses between 1 GeV and 10 GV. So that’s 1 to 10 times the mass of the proton. And so these actually are dark matter that are more aligned to the kind that Flip is talking about, the sort of new ideas of dark matter. And then we also are funding a third type of experiment called ADMX. And this is actually this Axion dark matter that Ryan likes so much. So we actually have a really big portfolio looking for dark matter. Sorry. IRA FLATOW: No, no, I’m sorry. People hate it when I do it. But I have to do it. We have to pay the bills. But you’re all going to be back. We’re going to talk more about this, what dark matter is made of. Our number– 844-724-8255. You can also tweet us at [? SciFri. ?] And as I say, we’ll be back in the light after this break. Stay with us. This is Science Friday. I’m Ira Flatow, and we are talking this hour about the hunt for dark matter, which they say, what, it makes up 25%, something like 25% of universe? RYAN MANDELBAUM: Oh, that’s different. We’re just trying to get it. We don’t understand– we barely understand the 4% of the universe that we’re made of. 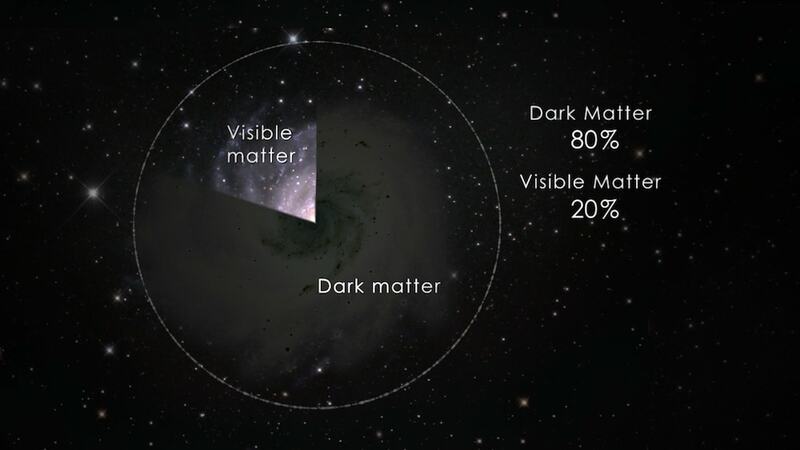 And now we’re trying to get to the 20 something percent that’s dark matter. And then there’s dark energy. We don’t have time for it. IRA FLATOW: Another show for that. My guests are Ryan Mandelbaum, and now Flip Tanedo, and Jodi Cooley. And Flip, let’s get in– let’s put our hair-hurting helmets on. Let’s talk about paradigm shifting ideas. For example, Ryan talked about, in his article, the sterile neutrino. What is that? And what other paradigm-shifting ideas can you think about? FLIP TANEDO: Ira wants dark matter dead. Yeah, so the sterile neutrino is– it’s kind of a natural idea to think about for dark matter, because we know, in our universe, there is such a thing called the neutrino, which is a really weakly interacting particle that rarely interacts with ordinary matter. So for a long time, people thought that either the neutrino or some cousin of the neutrino could be the dark matter. That didn’t quite pan out, but to this day, there are variants of those types of theories. And one of the forerunners is called the sterile neutrino. This has picked up some interest recently because of some astrophysical signals, looking at this 3.5 keV gamma ray line, which some people really think could actually be the first possible signature of sterile neutrino dark matter. IRA FLATOW: Hm, and so what other ideas, just ideas– and I’m not going to call them theories, because Dr. Cooley will get angry at me. So what other ideas are out there? FLIP TANEDO: And so Ryan mentioned a couple– strongly interacting massive particles, primordial black holes. One that we’re really excited about at the UC Riverside is self-interacting dark matter. And so this is a cousin of the WIMP, where you have a dark matter particle that actually has its own dark forces. IRA FLATOW: –listening to Star Wars here. FLIP TANEDO: Exactly. It’s exactly what it sounds like. So there’s– just like visible matter can interact with itself, meaning protons interact with electrons to form hydrogen, you could posit that maybe dark matter also talks to other types of dark matter. And maybe you get some weird, complicated dark matter interactions that we would never directly see, because all this stuff is dark. But this could actually affect the way that the dark matter clusters in the universe. And this might be something that we can see from tracing the visible stars that we can see from our telescopes. RYAN MANDELBAUM: I mean, if you think about– if dark matter is a thing, and it’s five times more than the amount of mass and universe, then it’s almost naive to think that dark matter is just a single particle, right? IRA FLATOW: Wow. You know, there are a lot of people, like, a lot of tweets, and I want to just cover this, because a lot of them coming in them. I want to talk about the multiverse, explaining the same effect that we’re attributing to dark matter. Is that possible? FLIP TANEDO: That’s a little bit more out there. And so I think one thing to be said about this idea of we haven’t found dark matter yet– so maybe it’s time to restart and find some completely new paradigm and throw away this idea that some new particle. This is actually– it sounds very nice, because it sounds like, well, there’s this complicated thing that we don’t understand, and we’re making these very convoluted theories to explain it. Why not just start from scratch? Actually believing that dark matter is a new particle is really the very conservative thing to believe. And this is because, in addition to the rotation curves, that Ryan very nicely explained earlier in the episode, we see all sorts of evidence, cosmologically and astrophysically, that this thing that is clustering in the center of galaxies really walks like a duck, swims like a duck, quacks like a duck. It has to be a new particle. Now, could it be modified gravity? Could it be something weird from some very evolved string theory? This is all possible. And we actually learn a lot from reading those papers. But right now, it is the most conservative thing to say that there might be a new particle that we just have not understood. IRA FLATOW: Let me go to the phones, to Modesto, California. Hi, Lanetta. Welcome to Science Friday. SPEAKER 2: Hi. Thank you so much. I have a question about technology, basically. It seems like, in the search for the Higgs or for gravitational waves, the theory was there, but you had to wait for the technology to catch up. Is it possible– is there some dream machine that you could build or some dream experiment you could build that could, if– you weren’t limited by current technological standards? JODI COOLEY: So yeah– so I’ve actually heard Kathryn Zurek say that we’re actually in a situation now where theorists are trying to catch up to the technology, when it comes to searching for the low mass dark matter. Do you think that’s fair, Flip? FLIP TANEDO: That I would completely agree with, yeah. IRA FLATOW: Explain that a little more, Dr. Cooley. JODI COOLEY: So I think– so it actually turns out that the technology that I work on, the CDMS– or the SuperCDMS technology, we call it now. So CDMS stands for Cryogenic Dark Matter Search. For a very long time in the field of dark matter searches, my experiment was one of the leaders in the field of looking for these dark matter WIMP particles that had masses 10 times the mass of the proton. And then the xenon, these liquid noble technologies, the xenon technology, overtook us in that region. And so we adapted our technology so that we could start looking at these very low mass regions. We could go to these lower mass regions. And the technology developed that we could look for lighter mass dark matter particles if it was that they could be interesting. And so we turned to the theory community and said, is this an interesting region to look in? Are there ideas for dark matter particles that could be interesting in the space? And I guess that’s where Flip and his colleagues had to get to work. JODI COOLEY: And so maybe Flip would have more to say. FLIP TANEDO: I guess, just to make sure the audience understands– these experiments are basically just big sitting there, waiting for something to vibrate through them. And right now, they’re ruling out some of the bigger stuff. But then the theorists haven’t come out with a way for them to rule out the smallest stuff. Is that right? Or to look for the small stuff. FLIP TANEDO: But the explosion over the past 10 years– and what’s really remarkable, from the physics side, is that particle theorists used to go off and do their own thing, sit in their coffee shops and write their papers. Now more than ever, they’re actually playing a much more active role in communicating actively with experimentalists and trying to brainstorm new ways to look for dark matter particles that behave unexpectedly. And one of the directions here has really been to talk to condensed matter theorists or [INAUDIBLE] matter experimentalists who work on novel materials. Some of these include superconductors or two-dimensional materials, where these are ideal for looking for dark matter that is lighter than the typical WIMP. IRA FLATOW: All right. Let’s go to the phones. Nathan in Verona, New Jersey. Hi, Nathan. SPEAKER 3: Hi. Thank you for taking my call. I got a question here– so what we [INAUDIBLE] we can continually see and learn a lot more so. Think about a flower– when we look at it, always see other colors. But then, all of a sudden, they start looking at flowers with UV lenses, and all of a sudden, they see all these new patterns. When we look up at the sky, all we can see is, with our eyes, is what’s available and visible light. But then we have new technology [? and now ?] can see x-ray and all these different spectrums. And I guess my question is, on dark matter, is there something outside of something visible, [? light, ?] that we just don’t have the technology yet to see what the presence is. And then the second thing is, in a different caveat to that, is what if it is there, but it’s actually in a different dimension? So until we have the technology to see something in that dimension, we can then see that it’s right in front of our eyes, and actually might be here, here on Earth, as well, not just in the sky. So I guess that’s sort of a [INAUDIBLE] question. IRA FLATOW: OK, that’s thinking outside the box. Yeah, I mean, is there a radiation that we don’t know about yet, but it’s giving off something, is his first part of his question, that we don’t know how to detect it? FLIP TANEDO: That’s a great question. And I think, five years ago, there would be a real great answer. We could say, you know, here’s one thing that we haven’t detected yet. But we actually have just detected it, and the answer is gravitational waves. And this was a recent Nobel Prize in physics. And one part of the dark matter community is really excited about the use of gravitational wave astronomy to probe properties of dark matter in the early universe. And the idea here is that what dark matter did in the distant past could have left an imprint on gravitational waves. And unlike visible light, gravitational waves let us probe really far early into the history of the universe in a way that we never could before. So this was actually a very prescient question, that this is exactly the future that we’re in right now. RYAN MANDELBAUM: So there is another question that I’ve got. And that’s what if we are in the realm that dark matter does not interact with regular matter, that there is maybe this dark realm, but dark matter only interacts with gravity and not with any of the other forces or some new force? IRA FLATOW: Explain it for us. FLIP TANEDO: [? –those ?] experiments. IRA FLATOW: What do you mean in the nightmare scenario? FLIP TANEDO: So our best way of understanding what dark matter is is to grab it into the lab somehow. So Jodi’s experiments are based on this principle of dark matter hitting a nucleus of ordinary matter. At the Large Hadron Collider, we try colliding two protons and two ordinary matter particles, and look for signatures of maybe some dark matter being produced. If dark matter does not interact at all with ordinary matter except for through gravity, then we wouldn’t expect any signatures from these experiments. And what we would end up doing for the next decade is learning more and more about how weakly dark matter must interact. IRA FLATOW: And how could you test that out? FLIP TANEDO: The upside to this is that there is already some indication that there may be a way to probe this. And this is called small scale structure. So what we do know is that dark matter forms the gravitational seed of every galaxy that we see in the sky. And we can track something about the dark matter density by following the orbits of the different stars in those galaxies. And one thing that’s been coming out is that, well, we know that there is dark matter there, because we can see the velocities of the stars don’t make sense unless you have additional mass. But if we look more carefully– and now we have more and more data on this– the stars still don’t quite seem to be orbiting at the right velocities for the simplest dark matter models, where dark matter just kind of sits there in a bubble. And one possibility is, if dark matter, for example, interacted with itself, the density of dark matter would be different in each of these galaxies, and you would see slight variations that we may or may not be seeing in the data currently. IRA FLATOW: This is Science Friday from WNYC Studios. And so why is this called? What did you say? FLIP TANEDO: The nightmare scenario. I want to hear what Jodi feels about this one, too, as an experimentalist. IRA FLATOW: Why is it the nightmare scenario, Flip? FLIP TANEDO: So this nightmare scenario would mean that our best ways of looking for dark matter, our favorite ways– and Jodi’s experiment is the one I really hope actually will discover what dark matter is. But in the nightmare scenario, it would be invisible to those experiments. IRA FLATOW: Go ahead, Jodi. JODI COOLEY: Sorry. I didn’t mean to cut you off. IRA FLATOW: No, that’s what I do for a living. I’m sorry. JODI COOLEY: What it means is we– yeah. I think it just means that we have to change our approach completely to trying to study dark matter. It really means that we’re not going to be able to study it in a laboratory on Earth. The only way that we’re going to learn anything more about dark matter is to start looking at the cosmos as a laboratory. And that becomes very, very, very difficult. RYAN MANDELBAUM: I had a couple of things I’m excited about there– which I know that there is, because, when it comes to gravity, different amounts of– it makes time change. So you can actually, in some of these papers I’ve read, detect dark matter with really, really sensitive clocks, which is– I haven’t seen anything done with it. But it’s just one thing that I saw recently that I was really excited about. But the other one is I also know that there is– I mean, aren’t there a slew of new results from space that really do seem to show dark matter? I mean, you have the 21– there’s a radio signal from the ancient universe that seems to have been affected by dark matter. And there’s a couple of things now. IRA FLATOW: Did I see something this week about the center of our own galaxy? There’s giant black holes, and there’s something in the way of some weird stuff in there that’s affected the dark matter? RYAN MANDELBAUM: I think I heard about that. But I guess my question, though, is there are some things that are very specifically– like, people are now like, dark matter is there. Right? RYAN MANDELBAUM: So there’s the [INAUDIBLE] in China, and there’s another one in Australia. IRA FLATOW: So Jodi, you’re saying that we’re really going to be having to depend on what we can detect about gravity and everything from the cosmos, instead of capturing something in our own little laboratories? JODI COOLEY: Well, I hope not. But right now, you’re right. There are anomalies. The hard part about– I mean, so now– I mean, some of the things that you’re alluding to, pulling apart many, many different things that Ryan has alluded to– so there are some experiments out there that are looking at using atomic clocks to try to detect dark matter. So one idea– and Flip, I’m not sure how familiar you are with this, but there is this idea that maybe dark matter might be these cosmological defects in space, and using atomic clocks to try to detect these topological defects. And I think the idea is, if I remember correctly, is that, when the clocks go through the– the atomic clocks– they’re very, very sensitive, m they can measure very, very tiny changes in time. And so when they go through the topological defects, they would measure very, very tiny time shifts. So there are people who do atomic physics who propose these different types of experiments with atomic clocks. So that’s what the first thing. IRA FLATOW: I have to leave it there, because we’ve run out of time. FLIP TANEDO: That’s the thing that Ira’s been waiting for for the entire hour, though. He just wants to hear that dark matter is actually just [? warps ?] of gravity flying through space. FLIP TANEDO: You can’t end the story. It never ends. IRA FLATOW: It’s a never-ending story. FLIP TANEDO: And we’ve got to find it [? one ?] day. IRA FLATOW: We will. We will come back to this. Thank you, all, for taking time to be with us today. One last thing before we go– we want to give a heads up to Chicago. Because join us Saturday, a week from tomorrow, June 16th– a special night of science and music at the Harris Theater. Mathematician Eugenia Cheng is going to tickle the ivories on the piano. We’ll search for urban coyotes with WBEZ’s Curious City. And we’re bringing you a radio play about space rocks falling from the sky, performed by Second City. Second City’s comics are going to be there. Don’t miss it. That’s Saturday, June 16. Tickets are going fast at sciencefriday.com/chicago– a week from Saturday, June 16th, sciencefriday.com/chicago. Hope to see you all there. We’ve run out of time with an hour gone by quickly, talking about dark matter. We’ll see you next week. I’m Ira Flatow, in New York. From Gizmodo: What Is Dark Matter and Why Hasn’t Anyone Found It Yet? Many scientists are showing up on the ballot this year. What unique perspectives can they bring to the political process?